Philip has wide experience of commercial litigation. He has dealt with many hard fought cases including contractual disputes, professional negligence claims, construction disputes, shareholder disputes and civil fraud. He has also dealt with defamation cases and numerous cases involving property – including rent reviews, lease renewals and dilapidation claims. As a litigator, Philip’s opponents view him as “tough and experienced”, while his clients identify him as “a creative thinker… prepared to explore new areas of law”. 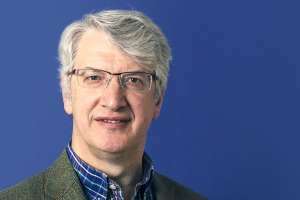 Philip read Law at Nottingham University, and has specialised in the resolution of disputes ever since he qualified as a solicitor in 1988 at the Bristol firm of Wansbroughs. In 1996, Philip was made a partner in what is now the international law firm of DAC Beachcroft, and headed up the property litigation team, before leaving in 2007 to start his own firm which then became part of Star Legal, which he founded with Ian Foster. Philip appears in Debrett’s “People of Today” in recognition of his contribution to the legal profession. Many, many thanks again – you are DEFINITELY my ‘go to’ guy when it comes to litigation!! I have to tell you that I had the best night’s sleep last night that I have had for weeks – all thanks to you! CJ Giles & Co joins Star Legal. The new Residence Nil Rate Band was introduced in April 2017.